The WORX Aerocart was featured in Popular Science’s 2018 list of “The best gardening tools for keeping your yard lush without waste.” Here’s what Popular Science had to say about the Aerocart. The Worx Aerocart is a two-in-one wheelbarrow and dolly that can hold up to 300 pounds on its steel frame. It has “flat-free” oversized tires that never need to be inflated, plus fold-out arms for transporting lighter items. It’s also designed to prevent back strain and make a heavier load feel much lighter. The cart includes accessories like a flower pot strap and a mesh rock mover. 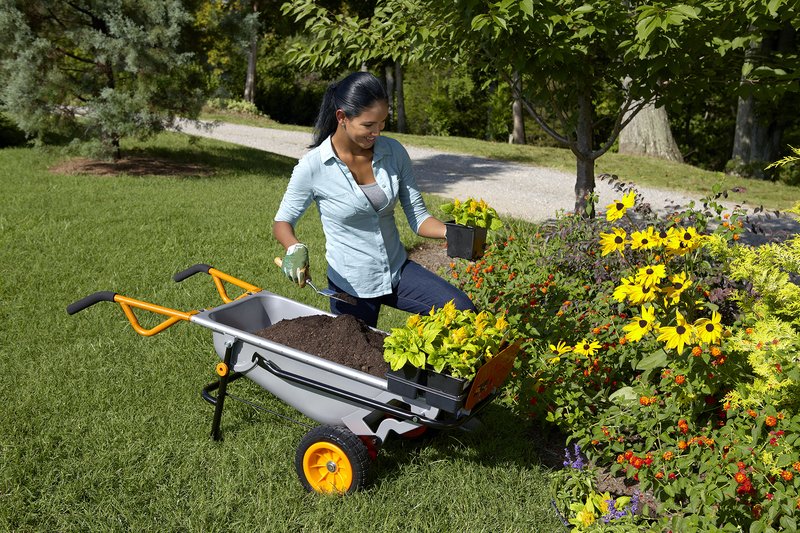 You can also snag this heavy-duty nylon organizer that fits on the wheelbarrow. $139. Read more from Popular Science here. Learn more about the WORX Aerocart by clicking here.